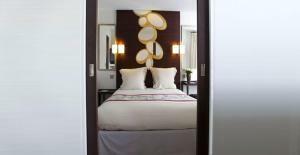 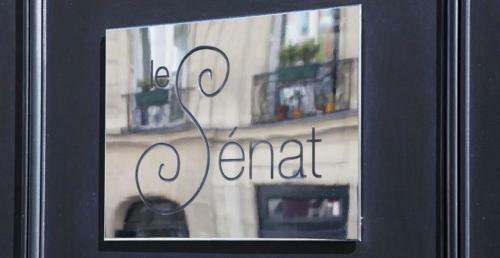 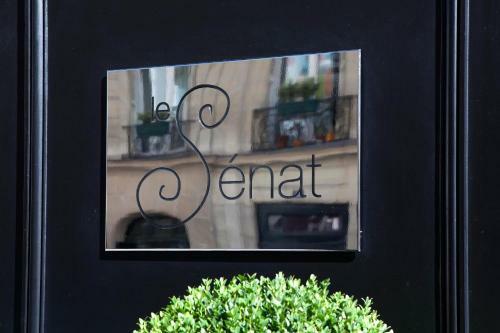 Serviced by a lift and decorated in neutral tones, the rooms at Le Senat are contemporary in style and offer a flat-screen TV with satellite channels. 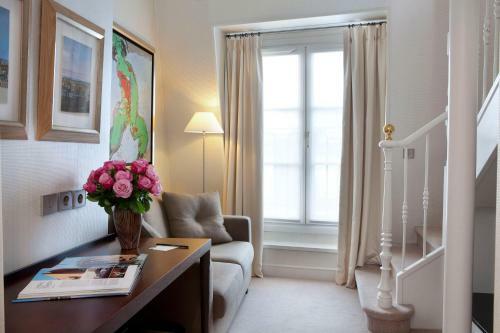 All rooms have complimentary L'Occitane products and some have a balcony with views. 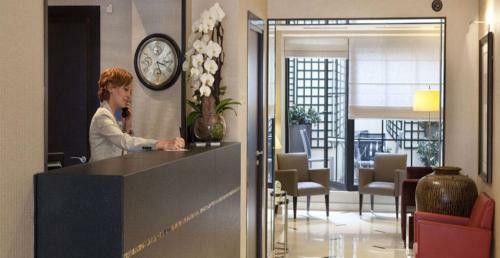 Additional facilities include a 24-hour desk where newspapers are also available. 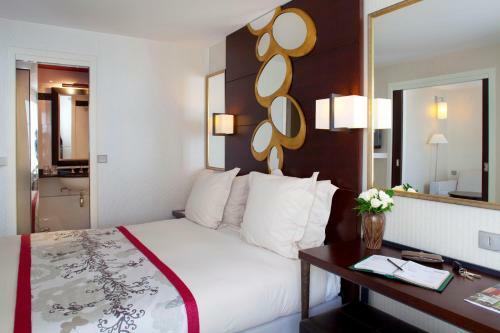 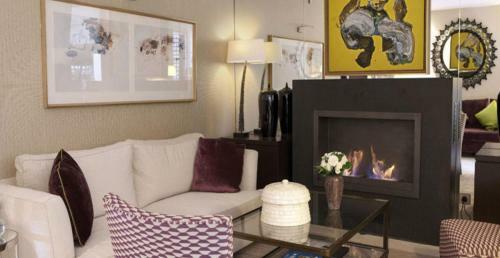 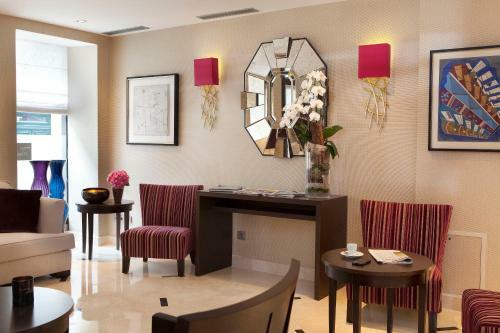 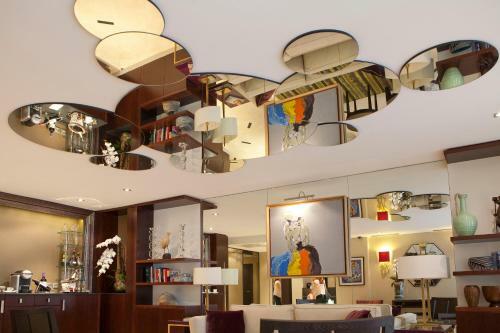 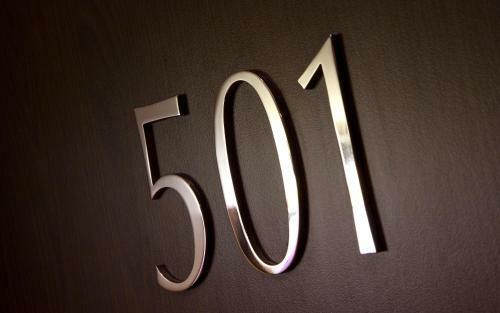 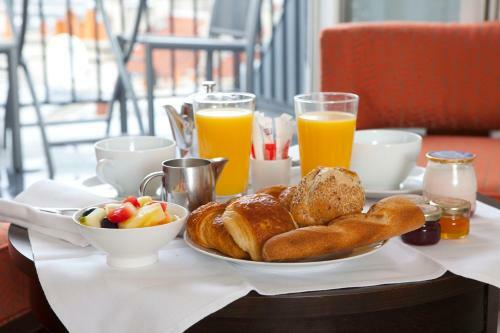 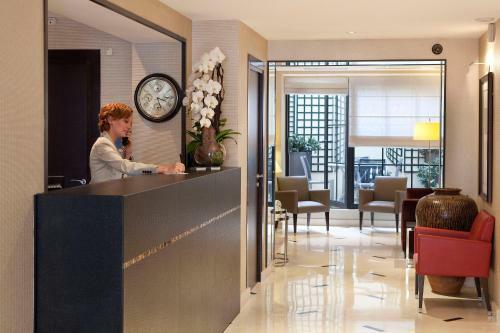 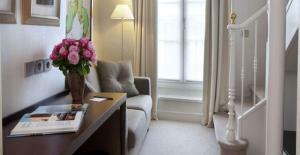 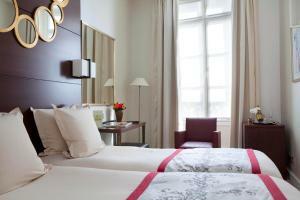 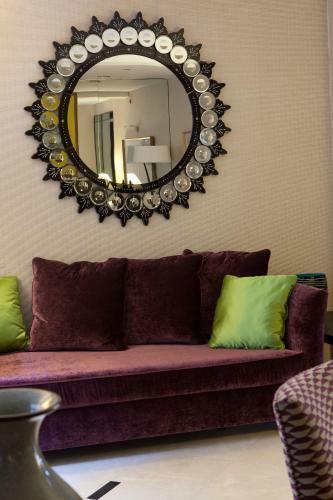 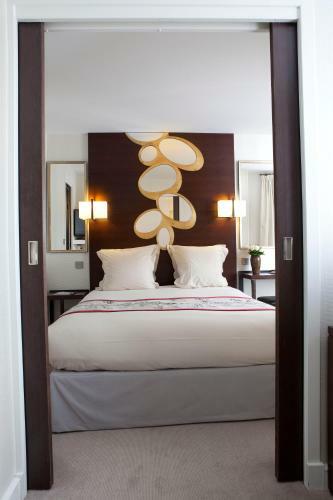 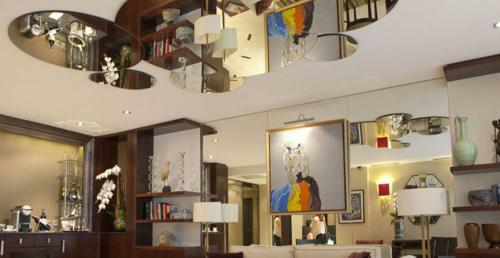 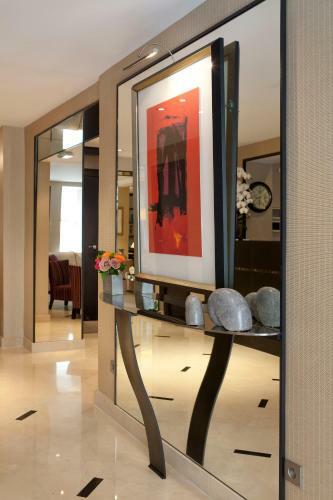 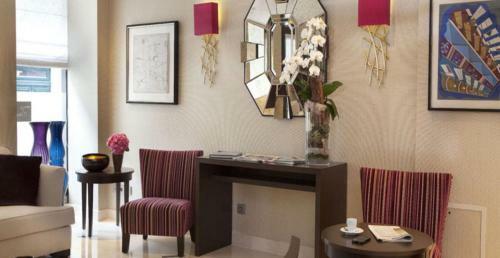 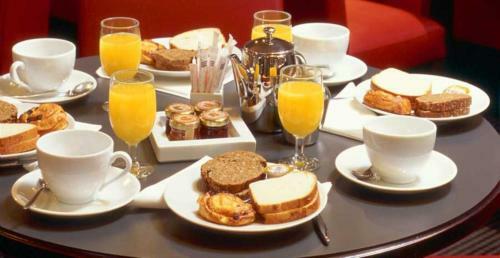 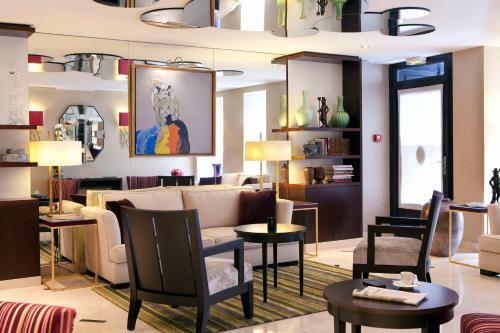 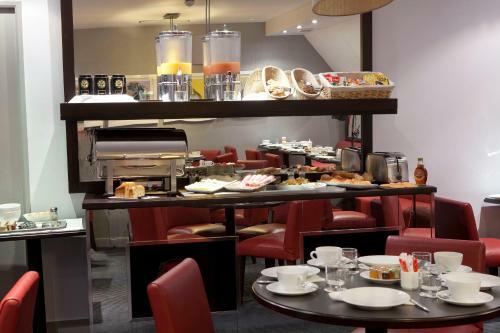 Just a 5-minute walk from Odéon Metro Station, the hotel is ideally located for exploring Paris. 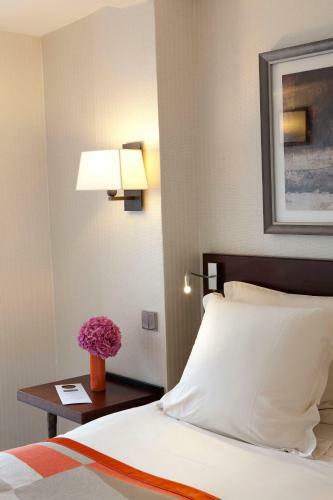 Luxembourg RER Station is 400 metres away and provides direct access to Charles de Gaulle Airport. 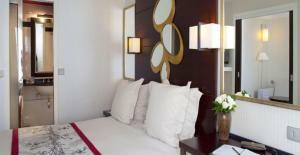 Rate: € 153.00 ... € 507.00; select dates below to get current rates. 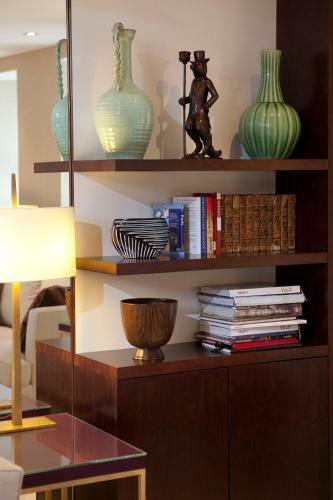 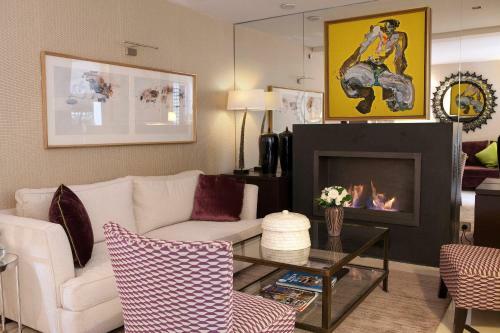 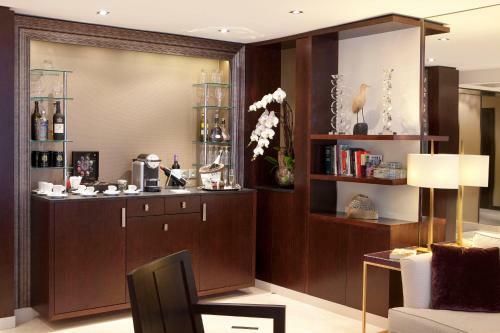 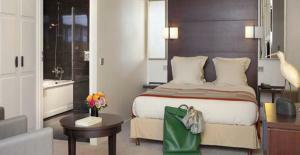 This air-conditioned room features a lounge area and a minibar. 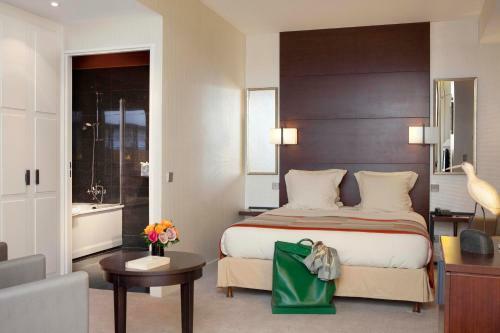 It also has a private bathroom with free toiletries. 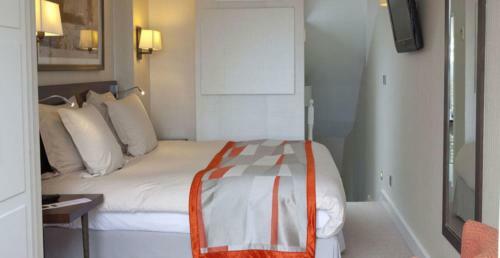 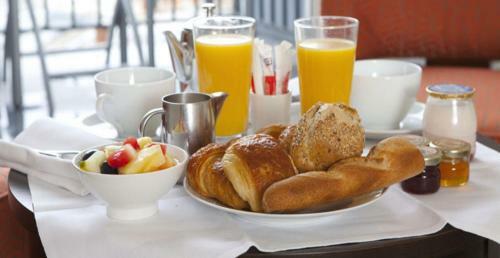 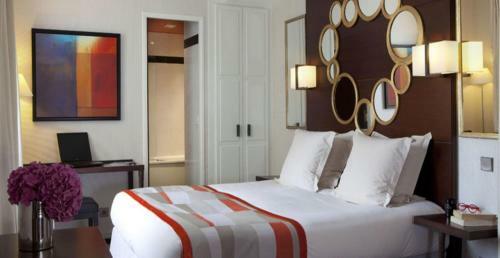 This air-conditioned room includes a flat-screen TV with satellite channels and a private bathroom with free toiletries. 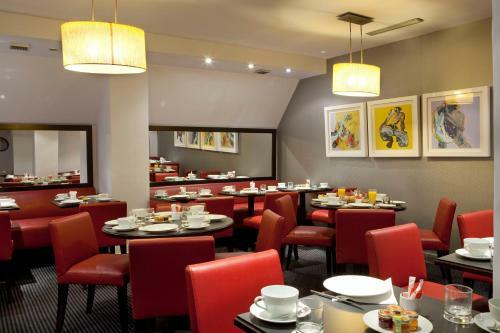 Breakfast is included for children under 12 years in this room type. 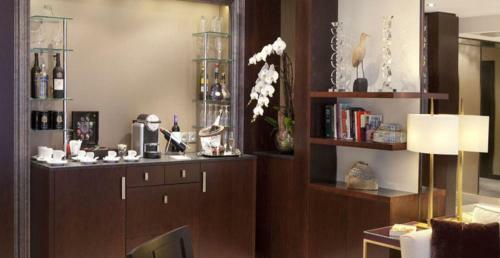 This suite features a separate lounge area. It also has a private bathroom with free toiletries.